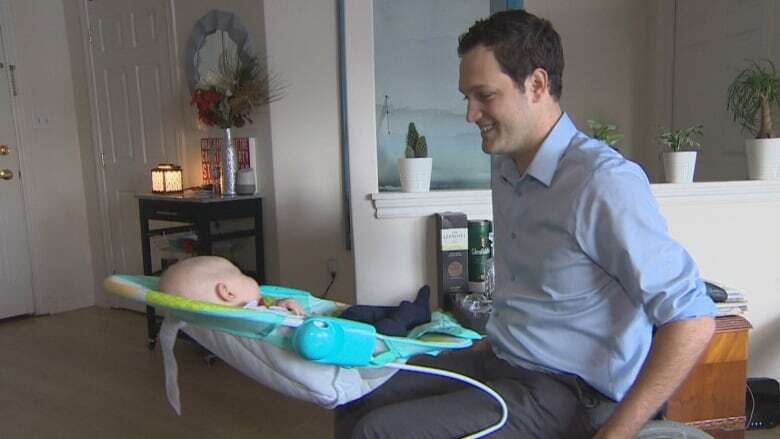 An occupational therapist at the IWK Children's Hospital in Halifax is challenging companies that make baby gear to start considering accessible options. Coady has incomplete quadriplegia from a fractured vertebra, and he knew that raising his child would require an extra layer of planning. But he quickly discovered that buying accessible gear that would adapt to his wheelchair wasn't as simple as shopping online. "I was a little bit surprised that there wasn't more out there," he said. "I understand that it's a relatively small market but it was still surprising that there wasn't somebody servicing that market." Instead, Coady turned to the IWK Children's Hospital in Halifax for help. That's where Elaine Churchill, an occupational therapist, works with new parents with disabilities to help adapt baby gear. Churchill said society is long past the stigma that people with disabilities should not have children, and she's surprised that businesses haven't caught up. "If you think of a crib design with the solid front — the bars on the front — you can't get up to it with a chair, you can't reach over it to get into the crib. That would be one of the biggest issues in Canada: you can't buy a wheelchair-accessible crib, that I have found anyway." "I looked online before you were coming and there was one available for $3,000 — a wheelchair-accessible crib," she told CBC News. "That's not affordable for anyone really." "If you can't get your child in and out of a crib, you have to get someone to do that for you. So you can't be fully involved in the hands-on parenting process." But instead of buying equipment with an astronomical price tag, Churchill works with a North American organization called the Tetra Society, which is dedicated to customizing equipment for people with disabilities. Churchill and Tetra's volunteers scour through online videos for ideas, and then work together to modify baby gear. In Coady's case, he wanted to come up with a way to carry his baby, Seth, while still being able to move around their home. 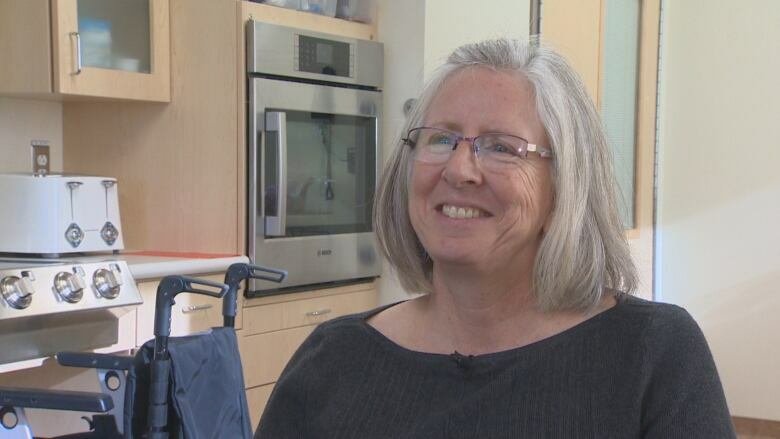 "If you don't have anyone in your life that can make these adaptations and you aren't aware of those programs like the IWK and those services, it absolutely could be discouraging," said Coady, who was grateful for the support. Churchill said she'll continue to hunt for innovative ways to help the new parents. "It's very rewarding to find ways to make life successful for people."